Sand Hollow Resort’s Championship Course is the perfect balance of Links golf and Southwest desert landscape. Framed by the native landscape, the 7,300-yard, 72-par 18-hole course’s takes full advantage of the region’s natural beauty. 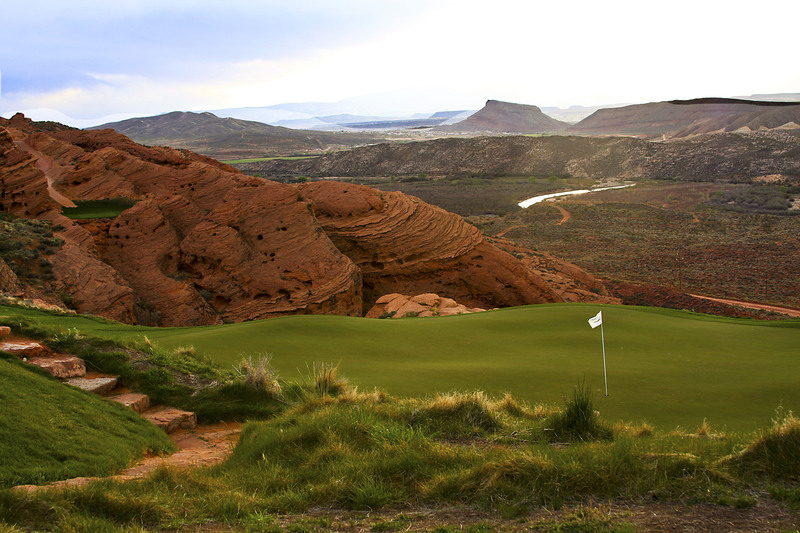 Southern Utah’s incredible views and vistas surround the front nine’s red rock outcroppings, natural vegetation, indigenous sand bunkers and rolling fairways. A majority of golfers replace clubs with a camera for their first shot on the back nine. Featuring dramatic elevation changes extending across a towering ridgeline, The Championship Course’s last nine are unlike anything in the West. According to John Fought, Course Designer, “Each hole is a difficult birdie, but easy bogey so all levels of players will enjoy playing again and again.” Once you finish your first round on the Championship Course, you can’t wait to come back. The Championship Course’s #15 recently graced the cover of Golf Week Magazine “Best Courses” edition, and was awarded Utah’s “Best Public Course” for the second straight year.